Either your’e a woman with the courage to wear colorful outfit or color in small details. A colorful jewelry could never go wrong. Choose to combine your jewelry and match your outfit with same color or choose a more elegant outfit with natural tones of color mixed with colorful jewelry. Below you see some options in blue shades to match your outfit. 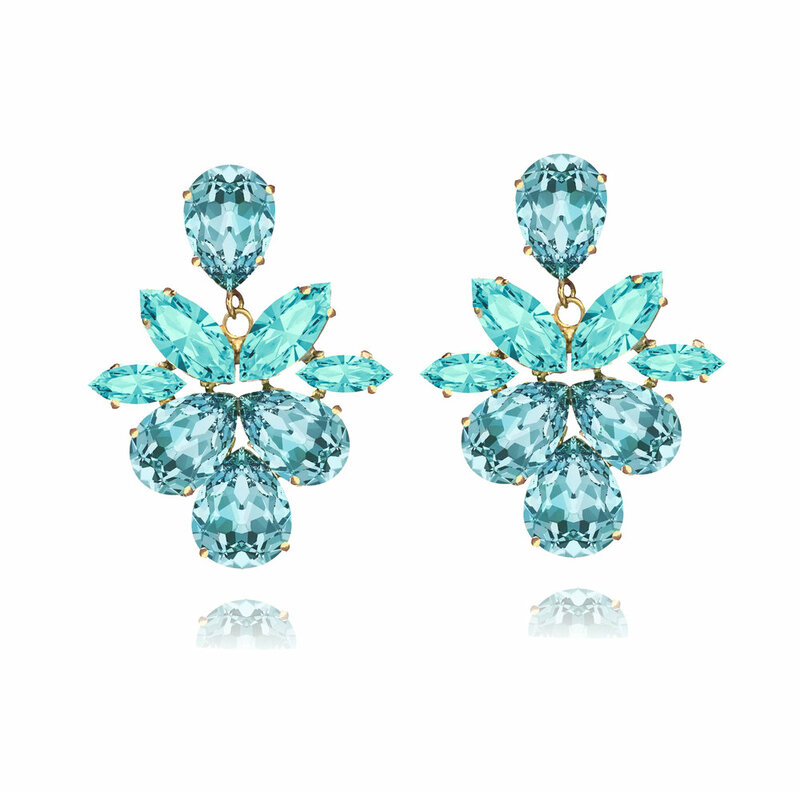 The name of the blue Swarovski crystal is Light Turquoise and it sparkles in blue shades like the ocean.